According to government estimates, the demand for electronic goods is increasing with a Compound Annual Growth Rate (CAGR) of 22% and is expected to touch $400 billion by 2020. Digital India, is a flagship programme of the Government of India with a vision to transform India into a digitally empowered society and knowledge economy. One of the important pillars of Digital India programme is Electronics Manufacturing i.e. Make in India and here the focus is on reaching Net Zero Imports by 2020. For achieving this ambitious goal of achieving Net Zero Imports by 2020 through Make in India, the government is focusing on taxation and incentives; economies of scale; focus on manufacturing of products like mobile phones (feature phones and smartphones), tablets, set top boxes, smart energy meters, consumer electronics, medical electronics and defence electronics in India; skill development and enhancing PhDs in electronic sectors; priority for Design in India; government procurement; safety standards; and R&D so that the entire manufacturing eco-system gets a big boost from Make in India perspective. The Indian government is also taking several steps to promote manufacturing and investment in this sector in big way through National Policy on Electronics launched in 2012, followed by Electronics System Design & Manufacturing (ESDM), Modified Special Incentive Package Scheme (MSIPs) where subsidy of 25% of capital expenditure (20% in SEZs) is available and all excise/CVD paid on capital equipment is reimbursed and Electronic Manufacturing Clusters Scheme which provides 50% of the cost for development of infrastructure and common facilities in Greenfield clusters (undeveloped or underdeveloped area from electronic manufacturing point of view) and 75% of the cost for Brownfield clusters (area where a significant number of existing EMC exists). Land can be made readily available in several of the new Electronic Manufacturing Clusters being supported by the Government of India. The government is targeting around 200 Electronic Manufacturing Clusters by 2020. Not only this, the government is also promoting Make in India products through preference in government procurement to domestically manufactured goods to around 30 per cent. Export of domestically manufactured Set top boxes and other electronic products are eligible for 2-5 % incentive in Focus Product Scheme under the Foreign Trade Policy. Electronic Development Funds for Research & Development and Innovation in electronics sector to support startups in electronics and IP generation in the area of electronics. Through two sector Skills Councils - Telecom and Electronics, Government of India provides 75% to 100% of training cost for industry specific skills for skilled and semi-skilled workers. In addition, to recognize and motivate the Micro Small and Medium Scale Enterprises (MSMEs) in the Electronic System Design & Manufacturing (ESDM) sector, the Government of India (GoI) has announced a national scheme for the sector. The scheme aims at providing financial support to MSMEs to promote manufacturing, to build quality into Indian manufacturing and also to encourage exporters. The support is provided in the form of reimbursement to the manufacturers in the MSMEs. The scheme for providing financial support assists in attracting value added manufacturing involving medium and high technologies. All these benefits, are for sectors like semiconductor FAB, telecom products, LED FAB and products, automotive electronics, semiconductor ATMPs, consumer electronics and appliances, consumer devices including feature phones, smartphones and tablets, strategic electronics, avionics and medical electronics etc. Thanks to the scheme of the government, the number of M-SIPS (Modified Special Incentive Package Scheme) proposals have increased from 217 in 2016 to 242 in 2017 of which 105 are from mobile and its related ancillary units. On the other hand, M-SIPS' investment has increased from Rs. 1.23 lakh crore in 2016 to Rs. 1.57 lakh crore in 2017. The mobile phone manufacturing has increased from 11 crore units in 2015-16 to 17.5 crore units in 2016-17. The year saw a 27% jump in the investment on electronic manufacturing where the total volume of investment reached 1.57 lakh crore in 2017 vis-a-vis 1.43 lakh crore in 2016. There has been almost 60% rise on the production of mobile phones to reach 17.5 crore units vis-s-vis 11 crore units last year, adding 4 lakh direct and indirect jobs in the sector of which 2.4 lakh was added in 2017. Not only mobile phone, even India has a big opportunity for M2M and IoT devices in the country. It is expected that M2M connections will reach 500 million by 2022 and focus is on areas like agriculture, smart cities, healthcare and water management. M2M sector is expected to reduce waste, improve health and meet other major social and economic needs such as security, transportation and logistics, education and energy. India will also see lot of opportunity for IoT (Internet of Things) both in short-range and wide-area segments. The short-range segment largely consists of devices connected by unlicensed radio technologies, with a typical range of up to 100 meters, such as Wi-Fi, Bluetooth and Zigbee. This category includes devices connected over fixed-line local area networks and power line technologies. The wide-area segment consists of devices using cellular connections, as well as unlicensed low-power technologies, such as Sigfox and LoRa. To further incentivise domestic value addition and Make in India, Arun Jaitley in Budget 2018 speech has proposed to increase customs duty on mobile phones from 15% to 20%, on some of their parts and accessories to 15% and on certain parts of TVs to 15%. This measure will promote creation of more jobs in the country and give a big boost to Make in India as lot of brands will look at India manufacturing and creating manufacturing ecosystem in big way. The MSME sector, which forms the backbone of the electronics industry or Make in India will benefit from reduction in corporate tax from 30% to 25% and the allocation of around Rs. 3,800 crore for the development of the sector will translate to strengthening the electronics eco-system thanks to recent Budget 2018 announcement. 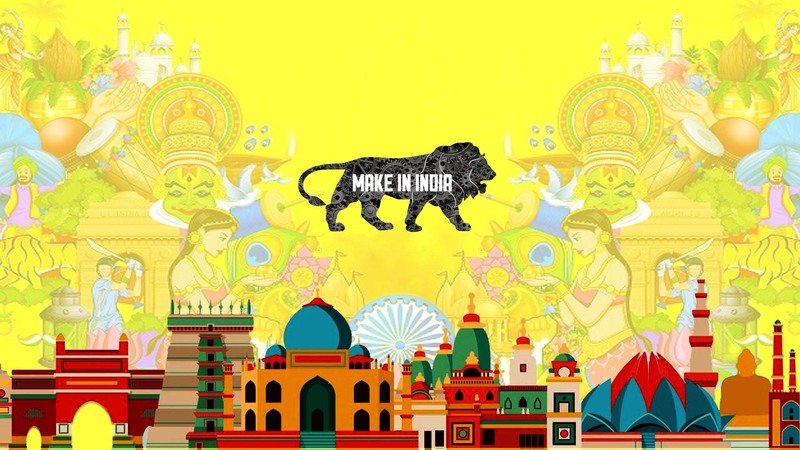 The Mobile Association supports Make In India for boosting the manufacturing eco-system in India. It is with this objective that TMA aims to create a steering committee comprising of experienced professionals from the industry. Creating environment for developing manufacturing clusters in different parts of the country and also increase localization content with the passage of time. Creating end to end manufacturing of feature phones, smartphones, tablets, wearables, accessories, IoT devices and M2M devices. Developing startup eco-system to give a big boost to manufacturing by providing them with test labs on new technologies. Supporting Design in India initiatives to boost local manufacturing. Supporting and developing the app eco-system to boost domestic manufacturing. Use of new technologies like AI, AR, VR and others for Make in India initiative. Please click here for expressing interest to join as a key member of the Make In India steering committee.